Copper products can be very beautiful, and the temptation to do something copper with his own hands. For this purpose the metal must be melted. In the foundry business for the most part there are three main varieties of this metal: pure red copper and its alloys: bronze and brass. In the crucible put the pieces of metal. Put the crucible in muffle furnace. Set the heat control to the desired position. To observe the melting of metal in a box furnace, which is on the door. In the course of melting on the surface of the metal oxide film is formed. Upon reaching the desired temperature and melting the metal, open the door, grasp the crucible with tongs. Oxide film, slide to the side with a hook from steel wire. Pour the melt into the previously prepared form. 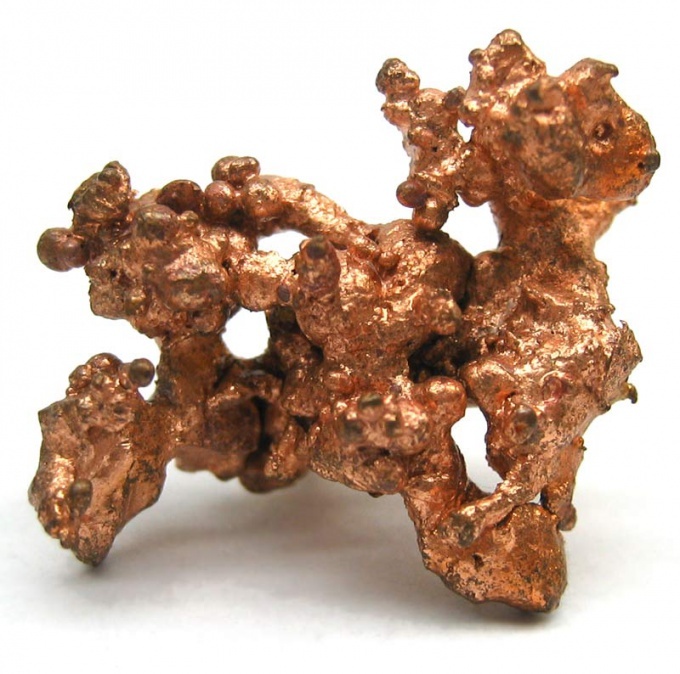 If a muffle furnace with sufficient capacity, it can help to melt any of the copper alloys and proper red copper. If there is a muffle furnace, you can melt copper with a blowtorch, directing the flame from the bottom of the crucible up. The melting will occur with good air access. To protect the metal from rapid oxidation, it is recommended to sprinkle the surface with a layer of crushed charcoal. Yellow copper (brass) and fusible varieties of bronze can be melted with a blowtorch. The principle of melting is the same as when using the blowtorch. The flame should cover the crucible. If no blowtorch or blowtorch, you can use a simple mountain. In this case, set the crucible on a layer of charcoal. To increase the temperature of coal combustion apply the forced injection into the combustion zone air. For this approach household vacuum cleaner working on blowing. Hose vacuum cleaner must have a metal tip. Hole tip it is possible to make narrower for more of a thin jet of air. Muffle furnace should allow to obtain the following temperatures: for melting of copper – 1083оС, for melting bronze – 930—1140оС, for brass - 880—950oc. Red copper is washplace. It is unsuitable for thin castings. For these purposes, more suitable brass. Lighter than brass, the more fusible it is. It is not recommended to engage in the melting of ancient bronze of unknown origin, since it may contain in its composition a large quantity of arsenic. 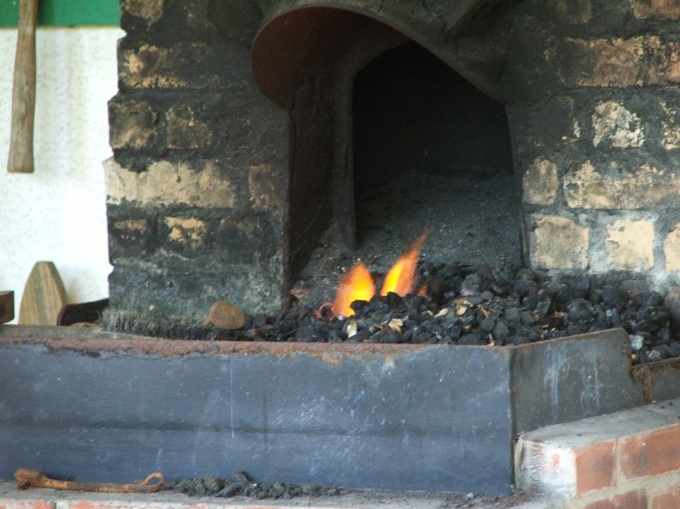 The furnace is an open furnace with exhaust hood, in which burned charcoal. To increase the temperature in the furnace is blown into the additional air through bellows or compressor. For melting copper used clay and ceramic crucibles. Instead of a horn you can use a blowtorch or blowtorch. To melt copper, as well, and any other metal is better to use special equipment and work under the guidance of the master. But if circumstances made you want to study the melting of metal at home, then make a special melting furnace. Furnace for melting metal at home has developed a scientific Metallurgist E. Y. Khomutov. Based ovens take an ordinary heat-resistant steel long 300 mm. Both ends of the pipe make two holes later to attach the nichrome filament. Nichrome filament is a heating element, it is necessary to attach together with a piece of cord that will prevent the turns of wire when winding. Using the formula L=RxS calculate the length of the filament where the resistance heating element of the heating –R, S — cross section of wire (nichrome); the resistivity of nichrome –R and equal to 1.2; the required length L.
The wire with the cord wind in a spiral and brush all over with liquid glass. Then, the handler will remove the spiral wrap of asbestos. Make the sensor temperature. Take chromalloy and lumelevel wire, twist them with each other. To one end of the strand attach the wire coming from the transformer (Latr). The regulator transformer, check for zero division. Take the dielectric surface and sprinkle graphite powder and borax (ratio 5/1).The other wire from the transformer connect to the soldering. It is indicated in the figure. To the left is a temperature sensor. 1). transformer (Latr), 2).the clip first contact, 3). later from the second contact, and 4.5). chromaluna and aluminia wire, 6). Cup of substance that poorly conducts current, 7). the composition (mixture) of borax and graphite, 8). twisting the two wires (soldered). For a few seconds apply the current. At the point of contact needs to receive the ball of the melt. The working part of the thermocouple hook up to the furnace cover and connect a millivolt, which is designed for 500 millivolts. Scale traduirait again, the reference point can serve as the melting point of different metals. Conduct this transaction in the ready oven. The upper furnace lid and bottom are made of clay (chamotte). The stove can be supplemented with a viewing window made of special glass. 1) asbestos insulation 2). pipe made of clay, 3). a spiral nichrome, 4). cover (upper), 5). the output of nichrome thread (wire),6). thermocouple, 7). millivoltmeter, 8).If the charge be downloaded directly to the furnace, not in crucibles, the inner part of the furnace cover of the graphite paste. Pasta mix on liquid glass.When working with a stove, observe safety precautions.